This article is about the view of this Prophet in Islam. For the view in the Hebrew Bible, see Jethro (Bible). Shuaib (Arabic pronunciation: [ʃuʕajb]), Shoaib or Shuʿayb (Arabic: شُـعَـيْـب‎, šuʿayb, meaning "who shows the right path"), was an ancient Midianite Nabi (Prophet), sometimes identified with the Biblical Jethro. He is mentioned in the Quran a total of 11 times. He is believed to have lived after Ibrahim (Abraham), and Muslims believe that he was sent as a prophet to a community: the Midianites, who are also known as the Aṣ-ḥāb al-Aykah ("Companions of the Wood"), since they used to worship a large tree. To the people, Shuʿayb proclaimed the faith of Islam and warned the people to end their fraudulent ways. When they did not repent, Allāh (God) destroyed the community. 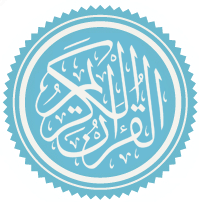 Shuʿayb is understood by Muslims to have been one of the few Arabian prophets mentioned by name in the Qur'an, the others being Saleh, Hud, and Muhammad. It is said that he was known by Muslims as "the eloquent preacher amongst the prophets", because he was, according to tradition, granted talent and eloquence in his language. 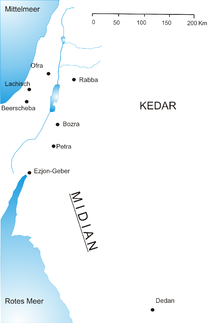 The area to which Shuʿayb was sent to is named 'Madyan in the Qur'an, known in English as Midian, which is frequently referred to in the Hebrew Bible. The preaching of Shuayb, however, is covered nowhere in the Hebrew Bible. The Midianites were said to be of Arab descent, though being neighbors of the Biblical Canaanites, they intermixed with them. It is said they were a wandering tribe, and that their principal territory at the time of Musa (Moses) time was the Sinai Peninsula. The figure of Shuʿayb himself is absent in Jewish tradition. Although frequently identified with the Midianite priest Jethro, most modern scholars reject this identification as it is made without any solid grounding. Aside from having no similarity in names, there are chronological differences. Classical commentators, such as Ibn Kathir, say Shuʿayb prophesied four generations from Abraham. Shuʿayb is believed to have been the son of Mikil, son of Isaachar, son of Midian, son of Abraham. Scholars who take this to be true believe that the identification with Jethro is, as a result, rendered irrelevant, as Jethro - who lived at the time of Moses - would have been active hundreds of years later. The Qur'an states that Shuʿayb was appointed by God to be a prophet to the people who lived east of Mount Sinai, that is the people of Midian. The people of this land were said to be especially notorious for cheating others through dishonesty and for idolatry. Shuʿayb's prophecy mainly involved calling the Midianites to the correct path of God, and forbidding them to worship false gods. It is also said he told his people to stop being dishonest in their daily activities. Although he preached and prophesied for a sustained period of time, the majority of the people refused to listen to him. Shuayb, however, remained steadfast. He consistently preached powerfully against the wicked, telling them of the punishment that had befallen the sinful before them. Shuʿayb warned the people that their ignorance would lead to the destruction of Midian, giving historical examples of earlier prophets, including Noah, Hud, Saleh and Lot, all of whose people had been destroyed by God. The people taunted Shuʿayb and told him that, were it not for the prestigious family he came from, he would surely have been stoned to death. Shuayb replied, "Is my family of more consideration with you than God?" When the Midianites refused to believe, they were destroyed by a mighty earthquake. The Qur'an, however, mentions that Shuʿayb, and his believing companions, were rescued from the thunderous punishment. Shuayb's mission is often mentioned in the Qur'an with the mission of Noah, Hud, Saleh and Lot. Scholars have pointed out that these five prophets exemplify the early prophetic missions: The prophet would be sent to his community; the community would pay no attention to his warning and would instead threaten him with punishment; after years of preaching, God would ask him to leave his community and his people would be subsequently destroyed in a punishment. Scholars interpret the listing of the five prophets to be chronological, with Noah being the only prophet in the list who preached before the Great Flood. He was also a descendant of Prophet Abraham. One claimed tomb of Shuʿayb is in Jordan. It is located 2 km (1.2 mi) west of the town of Mahis, in an area called Wādī Shuʿayb (Arabic: وَادِي شُـعَـيْـب‎), although other sites located in the Sinai Peninsula and historical Palestine are also attributed to Shuayb. There is also a tomb in the southwest of Iran (in the village Guriyeh, Shushtar) which has been recorded as the tomb of Shuayb. Another site recognized by Druze as the tomb of Shuʿayb, whom they also call "Nabi Shu'ayb", is located near Hittin in the Lower Galilee. Each year on the 25th of April, the Druze gather at the site to discuss community affairs. ^ a b Ibn Kathir, Ismail. Qisas Al-Anbiya. p. 220. ^ Quran 7:85 "And to Midian [we sent] their brother Shuʿayb. He said: 'O my people! serve God, you have no god other than Him; clear proof indeed has come to you from your Lord, therefore give full measure and weight and do not diminish to men their things, and do not make mischief in the land after its reform; this is better for you if you are believers.'" ^ "Shuayb". The United States Naval Academy. Retrieved 2006-10-30. ^ a b Firro, K. M. (1999). The Druzes in the Jewish State: A Brief History. Leiden, The Netherlands: Brill Publishers. pp. 22–240. ISBN 90-04-11251-0. ^ a b Dana, N. (2003). The Druze in the Middle East: Their Faith, Leadership, Identity and Status. Sussex Academic Press. pp. 28–30. ^ "Druze Revered Sites in Palestine". Druzehistoryandculture.com. Archived from the original on 2006-05-10. This page was last edited on 15 April 2019, at 15:26 (UTC).